Additional Savings on In-Stock Vehicles While Supplies Last! 1Not available with special finance or lease offers. See dealer for details. 2Ingersoll Auto Bonus Savings on select In-Stock vehicles only while inventory supplies last. Includes $500 Ingersoll Coupon. Not compatible with some other offers including some Discount Programs. May not be combined with other manufacturer or dealer coupons and 3rd Party website offers. See dealer for full details and restrictions. Expires 4/30/19. 3Not available with special finance or lease offers. See dealer for details. 4Must finance through GM Financial. Some customers may not qualify. Not available with some other offers. See participating dealer for details. 5Must finance through GM Financial. Not available with leases and some other offers. Take delivery by 04-30-2019. See dealer for details. There is no truck like a GMC Canyon. Easier to maneuver than larger trucks and more capable and versatile than any midsize pickup. A quiet cabin with comfortable seats. A high level of standard equipment. Meet the Canyon: everything you want in a smart-sized pickup truck. 1Not available with special finance or lease offers. See dealer for details. 2Not available with special finance or lease offers. See dealer for details. 3Must own 2005 or newer a NON GM vehicle in the household. 4The dealer in this advertisement & their marketing firm are not responsible for errors or misprints. Prior Sales Excluded. All incentives to dealer. Vehicle photos intended for illustrative purposes only. *All payment offers subject to approved credit through primary lender with A-Tier approval or better. Monthly payments are based on 36 month lease for 10,000 miles per year (25¢ per mile over) with $3995 down, first payment due at signing and does not include tax, $499 Doc Fee, or MV Fees, must qualify for GM Lease Loyalty Rebate for $1500. MSRP $34,090 Residual: $22,499.40. Total of payments is $10,655. Example vehicle N148050. See dealer for complete details. All offers expire 4/01/19 Lease terms end or change at 30000 miles 5Not available with some other offers. Take delivery by 04-30-2019. 6Not available with some other offers. Take delivery by 04-30-2019. 7Not available with some other offers. Take delivery by 04-30-2019. 1Not available with special finance or lease offers. See dealer for details. 2Not available with special finance or lease offers. See dealer for details. 3Must own 2005 or newer a NON GM vehicle in the household. 4Not available with some other offers. Take delivery by 04-30-2019. 5Not available with some other offers. Take delivery by 04-30-2019. 6Not available with some other offers. Take delivery by 04-30-2019. Additional savings off of the retail purchase of the following in-stock New Vehicles. 1Not available with special finance or lease offers. See dealer for details. 2Prices do not include additional fees and costs of closing, including government fees and taxes, any finance charges, $499 dealer documentation fee not included. All prices, specifications and availability subject to change without notice. Contact dealer for most current information. Not responsible for typographic errors. Expires 4/30/19 3Not available with special finance or lease offers. See dealer for details. 4Must own 2005 or newer a NON GM vehicle in the household. 5Not available with some other offers. Take delivery by 04-30-2019. 6Not available with some other offers. Take delivery by 04-30-2019. 7Not available with some other offers. Take delivery by 04-30-2019. 1Not available with special finance or lease offers. See dealer for details. 2Not available with special finance or lease offers. See dealer for details. 3Must own 2005 or newer a NON GM vehicle in the household. 4Not available with some other offers. Take delivery by 04-30-2019. 5Not available with some other offers. Take delivery by 04-30-2019. 6Not available with some other offers. Take delivery by 04-30-2019. 7Not available with some other offers. Take delivery by 04-30-2019. Sierra's expertly crafted body and premium appointments form a striking appearance. The new front appearance with stunning new GMC Signature LED lighting, available High Performance LED headlamps, LED tail lamps, and Thin Profile LED fog lamps further its bold and advanced design. 1Not available with special finance, lease or some other offers. Take delivery by 04-30-2019. See dealer for details. 2Not available with lease and some other offers. See dealer for details. 3Not available with special finance or lease offers. Take delivery by 04-30-2019. 42019 GMC Sierra 1500 Double Cab Limited Save Up To $14,003 OFF MSRP* or Leases Starting at $239/mo** or 0% for up to 84mo*** ^Purchase and Lease offers include rebate for financing with GM Financial and $3000 GM Lease loyalty Rebate === *Savings amount in lieu of any special finance rates and cannot be combined with any additional coupons or offers. *$14,003 is the total and maximum savings after all rebates, coupons and dealer discounts. Must currently Lease a 1999 or newer GM vehicle to receive $3000 GM Lease Loyalty Purchase Rebate. Offer for 2019 GMC Sierra Double Cab limited N171532. Advertised pricing does not include tax, title, MV, or $499 Dealer Doc Fee. May not combine or be enhanced by GM Purchase Program Discounts. ** The dealer in this advertisement & their marketing firm are not responsible for errors or misprints. Prior Sales Excluded. All incentives to dealer. Vehicle photos intended for illustrative purposes only. *All payment offers subject to approved credit through primary lender with A-Tier approval or better. Monthly payments are based on 36 month lease for 10,000 miles per year (25¢ per mile over) with $3995 down, first payment due at signing and does not include tax, $499 Doc Fee, or MV Fees, must qualify for GM Lease Loyalty Rebate for $2000. MSRP $43,270 Residual: $25,962. Total of payments is $12,599. Example vehicle N167110. See dealer for complete details. All offers expire 4/30/19 ** The dealer in this advertisement & their marketing firm are not responsible for errors or misprints. Prior Sales Excluded. All incentives to dealer. Vehicle photos intended for illustrative purposes only. *All payment offers subject to approved credit through primary lender with A-Tier approval or better. Monthly payments are based on 36 month lease for 10,000 miles per year (25¢ per mile over) with $3995 down, first payment due at signing and does not include tax, $499 Doc Fee, or MV Fees, must qualify for GM Lease Loyalty Rebate for $2000. MSRP $43,270 Residual: $25,962. Total of payments is $12,599. Example vehicle N167110. See dealer for complete details. All offers expire 4/30/19 ***0% for up to 84 months is for qualifying customers with an A1 Tier Approval through GM Financial. The 0% Offer will not combine with the maximum savings or lease offers. See dealer for complete details. All offers expire 4/30/19 52019 GMC Sierra 1500 Double Cab Limited Save Up To $14,003 OFF MSRP* or Leases Starting at $239/mo** or 0% for up to 84mo*** ^Purchase and Lease offers include rebate for financing with GM Financial and $3000 GM Lease loyalty Rebate === *Savings amount in lieu of any special finance rates and cannot be combined with any additional coupons or offers. *$14,003 is the total and maximum savings after all rebates, coupons and dealer discounts. Must currently Lease a 1999 or newer GM vehicle to receive $3000 GM Lease Loyalty Purchase Rebate. Offer for 2019 GMC Sierra Double Cab limited N171532. Advertised pricing does not include tax, title, MV, or $499 Dealer Doc Fee. May not combine or be enhanced by GM Purchase Program Discounts. ** The dealer in this advertisement & their marketing firm are not responsible for errors or misprints. Prior Sales Excluded. All incentives to dealer. Vehicle photos intended for illustrative purposes only. *All payment offers subject to approved credit through primary lender with A-Tier approval or better. Monthly payments are based on 36 month lease for 10,000 miles per year (25¢ per mile over) with $3995 down, first payment due at signing and does not include tax, $499 Doc Fee, or MV Fees, must qualify for GM Lease Loyalty Rebate for $2000. MSRP $43,270 Residual: $25,962. Total of payments is $12,599. Example vehicle N167110. See dealer for complete details. All offers expire 4/30/19 ** The dealer in this advertisement & their marketing firm are not responsible for errors or misprints. Prior Sales Excluded. All incentives to dealer. Vehicle photos intended for illustrative purposes only. *All payment offers subject to approved credit through primary lender with A-Tier approval or better. Monthly payments are based on 36 month lease for 10,000 miles per year (25¢ per mile over) with $3995 down, first payment due at signing and does not include tax, $499 Doc Fee, or MV Fees, must qualify for GM Lease Loyalty Rebate for $2000. MSRP $43,270 Residual: $25,962. Total of payments is $12,599. Example vehicle N167110. See dealer for complete details. All offers expire 4/30/19 ***0% for up to 84 months is for qualifying customers with an A1 Tier Approval through GM Financial. The 0% Offer will not combine with the maximum savings or lease offers. See dealer for complete details. All offers expire 4/30/19 Lease terms end or change at 30000 miles 6Not available with some other offers. Take delivery by 04-30-2019. 7Not available with some other offers. Take delivery by 04-30-2019. 8Not available with some other offers. Take delivery by 04-30-2019. 9Must finance through GM Financial. Not available with leases and some other offers. Take delivery by 04-30-2019. See dealer for details. 1Not available with special finance, lease or some other offers. Take delivery by 04-30-2019. See dealer for details. 2Not available with lease and some other offers. See dealer for details. 3Not available with special finance or lease offers. Take delivery by 04-30-2019. 42019 GMC Sierra 1500 Double Cab Limited Save Up To $14,003 OFF MSRP* or Leases Starting at $239/mo** or 0% for up to 84mo*** ^Purchase and Lease offers include rebate for financing with GM Financial and $3000 GM Lease loyalty Rebate === *Savings amount in lieu of any special finance rates and cannot be combined with any additional coupons or offers. *$14,003 is the total and maximum savings after all rebates, coupons and dealer discounts. Must currently Lease a 1999 or newer GM vehicle to receive $3000 GM Lease Loyalty Purchase Rebate. Offer for 2019 GMC Sierra Double Cab limited N171532. Advertised pricing does not include tax, title, MV, or $499 Dealer Doc Fee. May not combine or be enhanced by GM Purchase Program Discounts. ** The dealer in this advertisement & their marketing firm are not responsible for errors or misprints. Prior Sales Excluded. All incentives to dealer. Vehicle photos intended for illustrative purposes only. *All payment offers subject to approved credit through primary lender with A-Tier approval or better. Monthly payments are based on 36 month lease for 10,000 miles per year (25¢ per mile over) with $3995 down, first payment due at signing and does not include tax, $499 Doc Fee, or MV Fees, must qualify for GM Lease Loyalty Rebate for $2000. MSRP $43,270 Residual: $25,962. Total of payments is $12,599. Example vehicle N167110. See dealer for complete details. All offers expire 4/30/19 ** The dealer in this advertisement & their marketing firm are not responsible for errors or misprints. Prior Sales Excluded. All incentives to dealer. Vehicle photos intended for illustrative purposes only. *All payment offers subject to approved credit through primary lender with A-Tier approval or better. Monthly payments are based on 36 month lease for 10,000 miles per year (25¢ per mile over) with $3995 down, first payment due at signing and does not include tax, $499 Doc Fee, or MV Fees, must qualify for GM Lease Loyalty Rebate for $2000. MSRP $43,270 Residual: $25,962. Total of payments is $12,599. Example vehicle N167110. See dealer for complete details. All offers expire 4/30/19 ***0% for up to 84 months is for qualifying customers with an A1 Tier Approval through GM Financial. The 0% Offer will not combine with the maximum savings or lease offers. See dealer for complete details. All offers expire 4/30/19 5Not available with some other offers. Take delivery by 04-30-2019. 6Not available with some other offers. Take delivery by 04-30-2019. 7Not available with some other offers. Take delivery by 04-30-2019. 8Must finance through GM Financial. Not available with leases and some other offers. Take delivery by 04-30-2019. See dealer for details. 1Not available with special finance, lease or some other offers. Take delivery by 04-30-2019. See dealer for details. 2Not available with lease and some other offers. See dealer for details. 3Not available with special finance or lease offers. Take delivery by 04-30-2019. 4Not available with special financing, lease and some other offers. See participating dealer for details. 52019 GMC Sierra 1500 Double Cab Limited Save Up To $14,003 OFF MSRP* or Leases Starting at $239/mo** or 0% for up to 84mo*** ^Purchase and Lease offers include rebate for financing with GM Financial and $3000 GM Lease loyalty Rebate === *Savings amount in lieu of any special finance rates and cannot be combined with any additional coupons or offers. *$14,003 is the total and maximum savings after all rebates, coupons and dealer discounts. Must currently Lease a 1999 or newer GM vehicle to receive $3000 GM Lease Loyalty Purchase Rebate. Offer for 2019 GMC Sierra Double Cab limited N171532. Advertised pricing does not include tax, title, MV, or $499 Dealer Doc Fee. May not combine or be enhanced by GM Purchase Program Discounts. ** The dealer in this advertisement & their marketing firm are not responsible for errors or misprints. Prior Sales Excluded. All incentives to dealer. Vehicle photos intended for illustrative purposes only. *All payment offers subject to approved credit through primary lender with A-Tier approval or better. Monthly payments are based on 36 month lease for 10,000 miles per year (25¢ per mile over) with $3995 down, first payment due at signing and does not include tax, $499 Doc Fee, or MV Fees, must qualify for GM Lease Loyalty Rebate for $2000. MSRP $43,270 Residual: $25,962. Total of payments is $12,599. Example vehicle N167110. See dealer for complete details. All offers expire 4/30/19 ** The dealer in this advertisement & their marketing firm are not responsible for errors or misprints. Prior Sales Excluded. All incentives to dealer. Vehicle photos intended for illustrative purposes only. *All payment offers subject to approved credit through primary lender with A-Tier approval or better. Monthly payments are based on 36 month lease for 10,000 miles per year (25¢ per mile over) with $3995 down, first payment due at signing and does not include tax, $499 Doc Fee, or MV Fees, must qualify for GM Lease Loyalty Rebate for $2000. MSRP $43,270 Residual: $25,962. Total of payments is $12,599. Example vehicle N167110. See dealer for complete details. All offers expire 4/30/19 ***0% for up to 84 months is for qualifying customers with an A1 Tier Approval through GM Financial. The 0% Offer will not combine with the maximum savings or lease offers. See dealer for complete details. All offers expire 4/30/19 6Not available with some other offers. Take delivery by 04-30-2019. 7Not available with some other offers. Take delivery by 04-30-2019. 8Not available with some other offers. Take delivery by 04-30-2019. 9Not available with some other offers. Take delivery by 04-30-2019. 10Must finance through GM Financial. Not available with leases and some other offers. Take delivery by 04-30-2019. See dealer for details. 1Not available with special finance, lease or some other offers. Take delivery by 04-30-2019. See dealer for details. 2Prices do not include additional fees and costs of closing, including government fees and taxes, any finance charges, $499 dealer documentation fee not included. All prices, specifications and availability subject to change without notice. Contact dealer for most current information. Not responsible for typographic errors. Expires 4/30/19 3Not available with lease and some other offers. See dealer for details. 4Not available with special finance or lease offers. Take delivery by 04-30-2019. 5Not available with special financing, lease and some other offers. See participating dealer for details. 62019 GMC Sierra 1500 Double Cab Limited Save Up To $14,003 OFF MSRP* or Leases Starting at $239/mo** or 0% for up to 84mo*** ^Purchase and Lease offers include rebate for financing with GM Financial and $3000 GM Lease loyalty Rebate === *Savings amount in lieu of any special finance rates and cannot be combined with any additional coupons or offers. *$14,003 is the total and maximum savings after all rebates, coupons and dealer discounts. Must currently Lease a 1999 or newer GM vehicle to receive $3000 GM Lease Loyalty Purchase Rebate. Offer for 2019 GMC Sierra Double Cab limited N171532. Advertised pricing does not include tax, title, MV, or $499 Dealer Doc Fee. May not combine or be enhanced by GM Purchase Program Discounts. ** The dealer in this advertisement & their marketing firm are not responsible for errors or misprints. Prior Sales Excluded. All incentives to dealer. Vehicle photos intended for illustrative purposes only. *All payment offers subject to approved credit through primary lender with A-Tier approval or better. Monthly payments are based on 36 month lease for 10,000 miles per year (25¢ per mile over) with $3995 down, first payment due at signing and does not include tax, $499 Doc Fee, or MV Fees, must qualify for GM Lease Loyalty Rebate for $2000. MSRP $43,270 Residual: $25,962. Total of payments is $12,599. Example vehicle N167110. See dealer for complete details. All offers expire 4/30/19 ** The dealer in this advertisement & their marketing firm are not responsible for errors or misprints. Prior Sales Excluded. All incentives to dealer. Vehicle photos intended for illustrative purposes only. *All payment offers subject to approved credit through primary lender with A-Tier approval or better. Monthly payments are based on 36 month lease for 10,000 miles per year (25¢ per mile over) with $3995 down, first payment due at signing and does not include tax, $499 Doc Fee, or MV Fees, must qualify for GM Lease Loyalty Rebate for $2000. MSRP $43,270 Residual: $25,962. Total of payments is $12,599. Example vehicle N167110. See dealer for complete details. All offers expire 4/30/19 ***0% for up to 84 months is for qualifying customers with an A1 Tier Approval through GM Financial. The 0% Offer will not combine with the maximum savings or lease offers. See dealer for complete details. 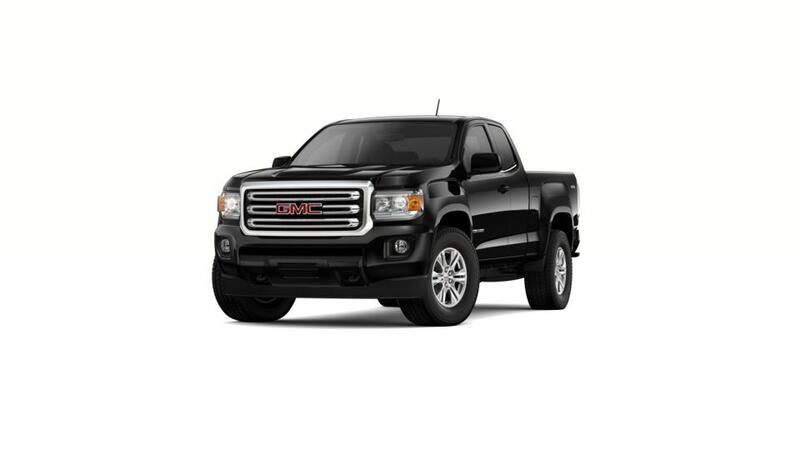 All offers expire 4/30/19 72019 GMC Sierra 1500 Double Cab Limited Save Up To $14,003 OFF MSRP* or Leases Starting at $239/mo** or 0% for up to 84mo*** ^Purchase and Lease offers include rebate for financing with GM Financial and $3000 GM Lease loyalty Rebate === *Savings amount in lieu of any special finance rates and cannot be combined with any additional coupons or offers. *$14,003 is the total and maximum savings after all rebates, coupons and dealer discounts. Must currently Lease a 1999 or newer GM vehicle to receive $3000 GM Lease Loyalty Purchase Rebate. Offer for 2019 GMC Sierra Double Cab limited N171532. Advertised pricing does not include tax, title, MV, or $499 Dealer Doc Fee. May not combine or be enhanced by GM Purchase Program Discounts. ** The dealer in this advertisement & their marketing firm are not responsible for errors or misprints. Prior Sales Excluded. All incentives to dealer. Vehicle photos intended for illustrative purposes only. *All payment offers subject to approved credit through primary lender with A-Tier approval or better. Monthly payments are based on 36 month lease for 10,000 miles per year (25¢ per mile over) with $3995 down, first payment due at signing and does not include tax, $499 Doc Fee, or MV Fees, must qualify for GM Lease Loyalty Rebate for $2000. MSRP $43,270 Residual: $25,962. Total of payments is $12,599. Example vehicle N167110. See dealer for complete details. All offers expire 4/30/19 ** The dealer in this advertisement & their marketing firm are not responsible for errors or misprints. Prior Sales Excluded. All incentives to dealer. Vehicle photos intended for illustrative purposes only. *All payment offers subject to approved credit through primary lender with A-Tier approval or better. Monthly payments are based on 36 month lease for 10,000 miles per year (25¢ per mile over) with $3995 down, first payment due at signing and does not include tax, $499 Doc Fee, or MV Fees, must qualify for GM Lease Loyalty Rebate for $2000. MSRP $43,270 Residual: $25,962. Total of payments is $12,599. Example vehicle N167110. See dealer for complete details. All offers expire 4/30/19 ***0% for up to 84 months is for qualifying customers with an A1 Tier Approval through GM Financial. The 0% Offer will not combine with the maximum savings or lease offers. See dealer for complete details. All offers expire 4/30/19 8Not available with some other offers. Take delivery by 04-30-2019. 9Not available with some other offers. Take delivery by 04-30-2019. 10Not available with some other offers. Take delivery by 04-30-2019. 11Not available with some other offers. Take delivery by 04-30-2019. 12Must finance through GM Financial. Not available with leases and some other offers. Take delivery by 04-30-2019. See dealer for details. 1Not available with special finance or lease offers. See dealer for details. 2Prices do not include additional fees and costs of closing, including government fees and taxes, any finance charges, $499 dealer documentation fee not included. All prices, specifications and availability subject to change without notice. Contact dealer for most current information. Not responsible for typographic errors. Expires 4/30/19 3Not available with special finance or lease offers. See dealer for details. 4Must own 2005 or newer a NON GM vehicle in the household. 52019 GMC Canyon Crew Cab Save Up To $7,000 OFF MSRP* or Leases Starting at $199/mo** ^Purchase offer includes $1815 in Conquest Rebate and Lease offers include $1500 GM Lease loyalty Rebate === *Savings amount in lieu of any special finance rates and cannot be combined with any additional coupons or offers. *$7000 is the total and maximum savings after all rebates, coupons and dealer discounts. Savings includes $1815 Buick and GMC Conquest Rebate Offer, must have qualifying vehicles to receive rebate. Offer for 2019 GMC Canyon stock# N124139. May not combine or be enhanced by GM Purchase Program Discounts. Advertised pricing does not include tax, title, MV, or $499 Dealer DOC Fee. See dealer for complete details. All offers expire 4/30/19. ** The dealer in this advertisement & their marketing firm are not responsible for errors or misprints. Prior Sales Excluded. All incentives to dealer. Vehicle photos intended for illustrative purposes only. *All payment offers subject to approved credit through primary lender with A-Tier approval or better. Monthly payments are based on 36 month lease for 10,000 miles per year (25¢ per mile over) with $3995 down, first payment due at signing and does not include tax, $499 Doc Fee, or MV Fees, must qualify for GM Lease Loyalty Rebate for $1500. MSRP $36,595 Residual: $24,884.60. Total of payments is $11,159. Example vehicle N159750. See dealer for complete details. All offers expire 4/30/19 6Not available with some other offers. Take delivery by 04-30-2019. 7Not available with some other offers. Take delivery by 04-30-2019. 8Not available with some other offers. Take delivery by 04-30-2019. 9Not available with some other offers. Take delivery by 04-30-2019. Additional Savings on select In-Stock Vehicles While Supplies Last! For current lessees of qualifying vehicles toward purchase of an i n-stock 2018 Sierra 1500 Crew Cab. 1Ingersoll Auto Bonus Savings on select In-Stock vehicles only while inventory supplies last. Includes $500 Ingersoll Coupon. Not compatible with some other offers including some Discount Programs. May not be combined with other manufacturer or dealer coupons and 3rd Party website offers. See dealer for full details and restrictions. Expires 4/30/19. 2Lease Loyalty Purchase Cash for customers who have a current quaifying Chevrolet, Buick, GMC or Cadillac Lease through GM Financial, Ally Financial or US Bank. Good toward purchase of an in-stock 2018 Sierra Crew Cab while inventory supplies last. Must qualify. See dealer for full details. Expires 4/30/2019 3Not available with lease and some other offers. See dealer for details. 4Not available with special finance or lease offers. Take delivery by 04-30-2019. 5Not available with special financing, lease and some other offers. See participating dealer for details. 6Must finance through GM Financial. Some customers may not qualify. Not available with some other offers. See participating dealer for details. 7The dealer in this advertisement & their marketing firm are not responsible for errors or misprints. Prior Sales Excluded. All incentives to dealer. Vehicle photos intended for illustrative purposes only. Savings amount in lieu of any special finance rates and cannot be combined with any additional coupons or offers. *$13,539 Off MSRP is the total and maximum savings after all rebates, coupons and dealer discounts. Prices do not include Tax, Title, MV, or Dealer Doc fee of $499. Offer for 2018 Sierra Crew Cab 1500 Denali N541466 with MSRP $64,895. Must finance with GMF to receive $1500 in rebate included in total savings, Must have a current GM Lease to receive $2000 in GM Lease Loyalty rebate included in total savings. May not combine or be enhanced by GM Purchase Program Discounts. 8Must finance through GM Financial. Some customers may not qualify. Not available with some other offers. See participating dealer for details. 9Must finance through GM Financial. Some customers may not qualify. Not available with some other offers. See participating dealer for details.